Cordelia’s immersion into the hospitality and beverage industry began at an early age, where one of her first challenges was to bus tables at a fine-dining, local restaurant. Cordelia’s experience spans almost 20 years, she’s no stranger to rolling-up her sleeves and getting involved with all aspects of running a restaurant or bar. Having worked as a barista helped establish an affection for good coffee. However, it was during her role, as sales manager at a Zagat rated and Wine-Spectator awarded Californian restaurant, that her passion for wine was ignited. Good food begs for the perfect wine-pairing. Being exposed to award-winning culinary mastery, motivated Cordelia to learn about the ways in which wine helps the taste-buds elevate flavors such as sweet, salty, sour, and bitter. Since that time, she’s never looked back. In 2015 Cordelia, Jessika and Peter opened Ze Windham Wine Bar. Within a year, Cordelia became a Sommelier through the Court of Master Sommeliers. Coming to grips with deductive tasting, theory, and practical service, was no easy feat. To this day, Cordelia is the only sommelier on the Mountain Top. Cordelia is currently studying for her Master Sommelier exam and is often seen reading rather large, heavy sommelier’s bibles, kept company by her faithful confidant Shih-Tzu – Senge. Cordelia is affectionately known to her friends and family as ‘Ikey’, something to do with her long time infatuation for squirrels. You’ll have to ask her in person ‘why?’! Jessika was born and raised in Stockholm, Sweden. As a young and enthusiastic environmentally-conscious Swede, Jessika took the long journey to New York in 1972, leaving behind her very favorite delectable ‘Kalles’ Kavier; extended-warm, dreamy summer days; wonderfully soft, gooey, pearl-sugared Kanelbullar (Swedish Cinnamon buns); and of course IKEA’s amazing tea-lights and candles. Jessika took on a four-month assignment at the Swedish Consulate in New York, which turned into a seven-year long excursion! During which time, she helped promote Sweden’s cultural achievements, whilst also delighting her co-workers, by turning up to work in traditional Swedish attire. When Jessika met Peter, (not unlike Stephanie Powers and Robert Wagner in the TV series Heart-To-Heart), it really was the beginning of something quite wonderful and worthy of prime-time TV viewing. Jessika is mom to six wonderful children and has had to create, embellish and produce (from thin air) enough tasty and nutritious foods to meet the most discerning and critical of palettes (6 baby Schreibers)! Having worked and created many different tasty dishes in different eating establishments, Jessika took her cultural experiences and love for tasty bites to the next level. Working hand-in-hand with Sommelier Cordelia, Jessika delivers mouth-watering treats that meet the diverse and refreshing palate of wines served at Ze Windham Wine Bar. In her spare time Jessika loves to spray paint!!! She has been known to dumpster dive, to retrieve the most unique and valuable treasures, that others leave behind. Her most recent creative work, (modified from a ornately gold-framed picture of a boy playing the sitar), was showcased at wine school and renamed: “David Bowie ‘as a yout’ drinking a glass of wine and forgetting about his penchant for playing stringed instruments”. Peter has a tale or two to tell. If you have an hour or so and want to experience an authentic German beer , whilst listening to the perfect story with a Germanic flair, then make a point to meet and chat with Peter. Peter left his native Germany in 1968 to pursue his passion for intricate, detailed craft and moved to Canada to pursue a career as a master-jeweler in Montreal. As fate would have it, Cerub was working his magic, before long Peter relocated to New York to continue his career in jewelery design, and unbeknownst to him, met the love of his life – the lovely Jessika. He is now retired and is often seen wondering around with a drill in one hand and sometimes a refreshing beer in the other. In his spare time, Peter loves gardening and collecting tools (who doesn’t?). If given the opportunity, Peter will happily get into a dialogue with you, about the collection of beers and dessert wines housed at the Wine Bar. With so many tasty varieties of wine and beer to try, combined with Peter’s flair for an interesting story, you’re in for an entertaining experience. Peter’s keen eye and his attention to detail, contributes to help make the Wine Bar the beautiful two-hundred year old gem that it is today! Hudson Valley Uncorked: A Handful of the Region’s Best Wine Bars. From Beacon to Nanuet, our recs for destinations that are true glass acts. Eat Stay Play – Ski weekend getaways in The Catskills. 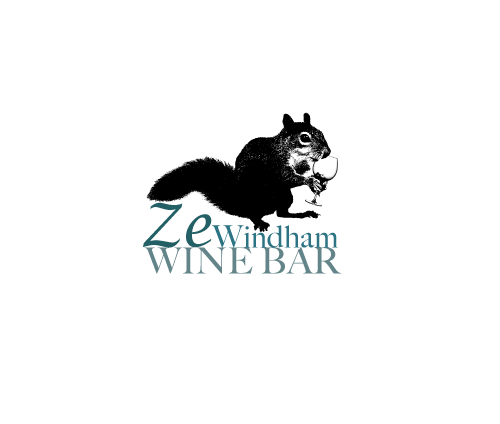 NEW YORK CITY BLOGGER DISCOVERS THE HIDDEN GEM THAT IS ZE WINDHAM WINE BAR! For ample ski trails & village charm, Windham is where it’s at! The Catskills – unbelievable nature & fun shopping. A foodie girl gang sharing the best eats & drinks! 25 Best Wine Bars in the U.S.
Ze Windham Wine Bar named #20 of the 25 best wine bars in the country!